This literally translates to mean that the air fries, but then can the air really fry? Sure it can – if you trap it in a fryer that is. I’m really excited about this product that has recently become a reality, and I’m not even talking about brands. I love frying and fried foods but I’ve always felt a bit guilty whenever I fry because of the oil situation. Over time I moved from deep fryer to deep fryer, trying to find a brand that used the smallest amount of oil possible. I found it, but it didn’t make me feel any less guilty. So when I heard of the air fryers that fry food and leave them crisp and crunchy just like a deep fryer, I was ecstatic. 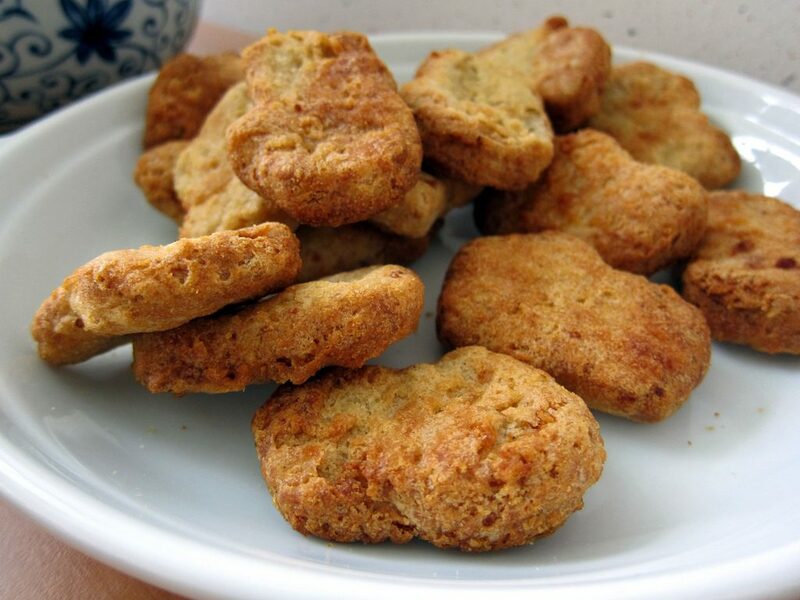 I had found the perfect way to enjoy all the fried food that I love and then with no oil! 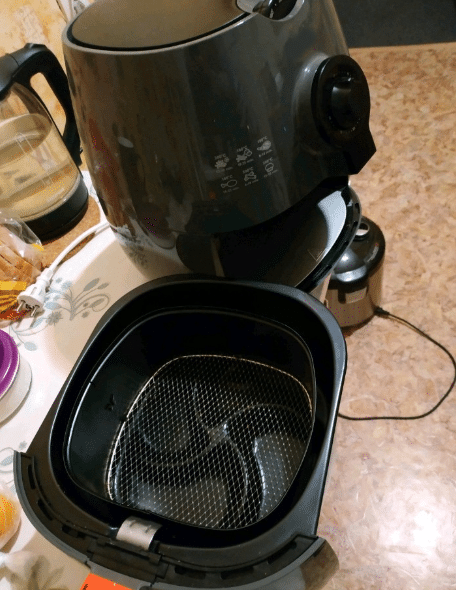 It was a healthier, cost-effective option and since then, air fryers have been my thing. An air fryer works kind of like a mini oven. It circulates hot air around the food and stretches the small amount of oil that is on the food being cooked so you can get the same effect as you would if you were deep frying. 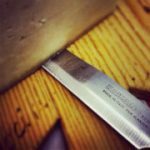 The result is that you get healthier, less greasy food and the process is less messy. The air fryers can fry anything – from bacon to steak to seafood – if you can think it, it can fry it. And there’s a twist to this: air fryers don’t just fry. They can also bake, roast, broil or grill. You could make hot sandwiches, cook meat, bake potatoes and grill barbecue all in one fryer! Gourmia produces these healthy air fryers, they were among the first I used and they’ve easily found a place in my heart. But I like to have an open mind about things so I decided to do this review and really get down to what is what about the Gourmia air fryers. I’ll be reviewing several of the more popular Gourmia air fryers so if you’re looking to buy one, it will help. If you aren’t buying, still read this review because like I always say, you never know. Before we get into the review…. This model can easily fit in any kitchen but it doesn’t hold much food so best suited for a one person household. This one is large enough for family cooking and small enough so that storage isn’t a problem. If you don't have much spare time for cooking, this programmable air fryer is a great choice. This model with nonstick tray is perfect for those who want to spend less time on cleaning. The Gourmia air fryers are power packed with the latest innovation in air frying technology that lets the 21st century human being eat well, eat on schedule and eat healthy. The air fryers don’t feature just analog technology anymore but have been upgraded a notch higher to digital easy-touch technology. Several models are of the digital class, and they share certain similar features. 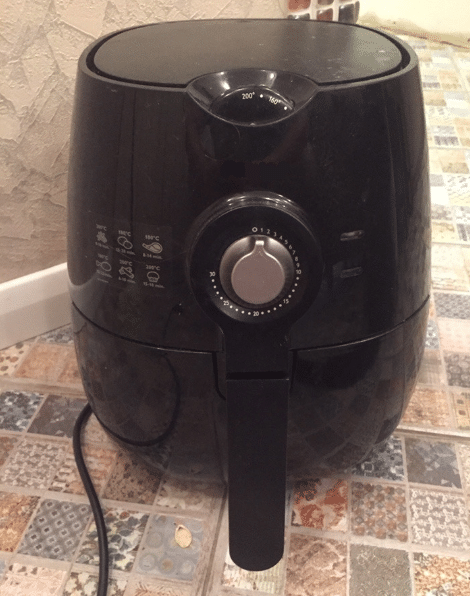 This is a small air fryer but this in no way diminishes its working capabilities. Don’t let its compact size fool you, the FryPod Digital Air Fryer can multitask to grill, roast and even bake. This unit has a 2.2-quart capacity, has one touch simple settings that are easy to use and can easily fit in any kitchen but it doesn’t hold much food and is best suited for a one person household. 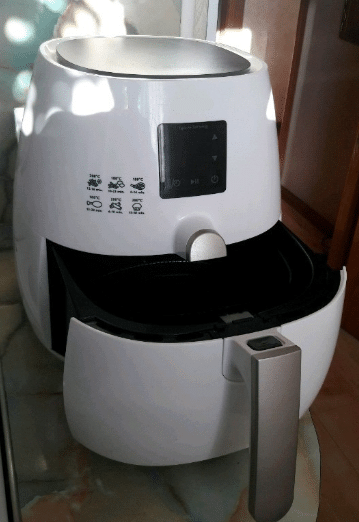 The first thing to note about this digital air fryer is the technology it employs which allows frying without oil. The RadiVection 360⁰ technology circulates hot air rapidly in all directions which allows food to cook evenly to a superb crisp on the outside and tender softness on the inside. In addition, it boasts of an Express Heat System which cooks up food to 30% faster than a standard oven. The LCD digital display is as sleek as it is neat. And it houses the 8 Chef-at-Touch presets that allows for stress-less cooking. The 8 presets are a superb guide that aids your magical cooking with its set temperatures and times for cooking different foods. The presets are settings for: French fries, bacon, fish, seafood, poultry, pizza, cake and steak. You also have the option of manually adjusting your temperature and timer settings for a more personalized cooking adventure. The timer and temperature settings can go as high as 60 minutes and 400⁰F. SensiTemp Heating is a temperature heat monitoring feature that ensures you have the proper temperature throughout your cooking process. This results in perfect cooking in less time. And when you’re done cooking, cleanup is achieved in less time with the removable nonstick basket. Simply remove the basket and place it in the dishwasher. Because no oil is used to cook, there will be no grimy mess to clean up when the frying is complete. In addition, all the Gourmia digital air fryers have a sleek stainless steel design that is sure to wow you even before you open it or cook in it. With a clean cloth or sponge and a swipe of your hands, it’s as good as new. And as an added feature, each of the Gourmia air fryers come with a recipe book that helps you get started in making the most healthy and delicious of meals. The front of this deep fryer shows an easy-to-read LCD display screen that shows the set time and temperature, and there are also control buttons that control the timer, the temperature and the start/stop function. There are also the 8 Chef-at-a-Touch preset icons that control 8 settings for: French fries, bacon, fish, seafood, poultry, pizza, cake and steak. These preset icons are the same in all the digital air fryers. On the backside, there’s a vent outlet and a power plug that is not detachable. It uses RadiVection 360⁰ Heat Circulation Technology and has a removable 2-tiered rack, digital touch controls and a non-stick basket. This unit’s manual time/temperature settings control reaches up to 30 minutes and 400⁰F. 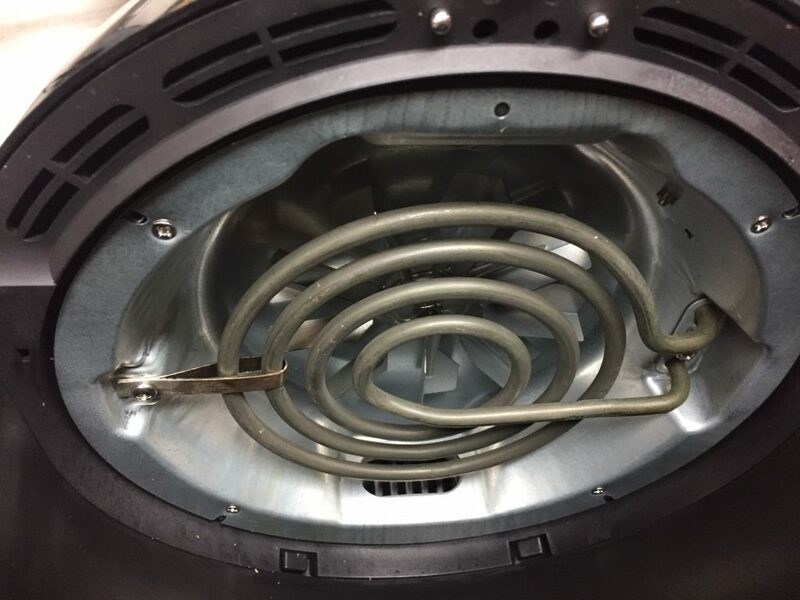 The Express Heat System is set at 1500-watts, and it has a 4.5-quart capacity. 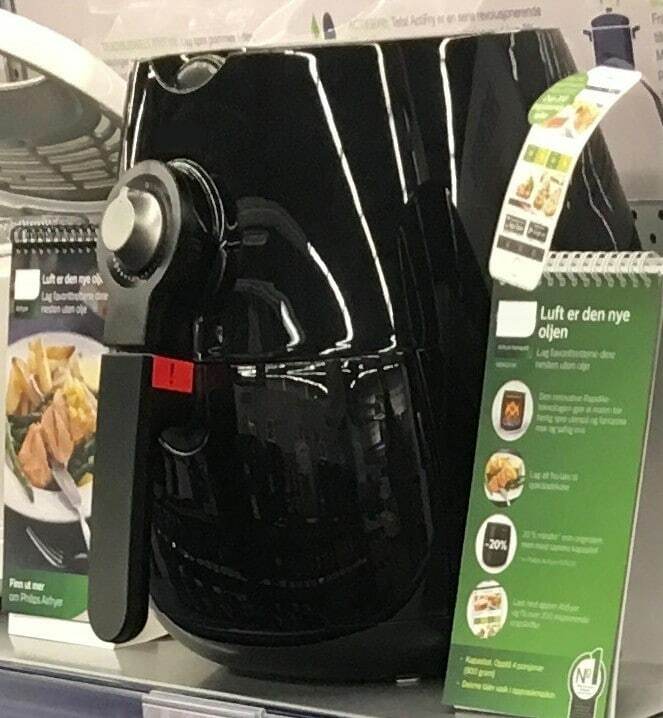 It has a removable nonstick basket and pan that is made of aluminum and it is a bpa free air fryer. It is large enough for family cooking and small enough so that storage isn’t a problem, and it makes some noise when in use. There’s no way around that. The presets function is really good as it guides you on what temperature and time is perfect for your cooking. Makes noise while in use. And that is that for the digital air fryers. 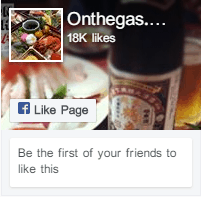 The pros and cons for each of the fryers were mentioned with the specific model. Now let’s look at some programmable air fryers. This Gourmia air fryer uses super-heated air instead of super unhealthy oil to create delicious chicken wings and fries in a flash. It has two simple control knobs that control time and temperature with cook times up to 60 minutes and temperature from 200⁰F up to 400⁰F. This makes it a programmable air fryer. And it is very safe too as it has ETL certification. It also has a removable dishwasher safe crisper tray. Like the digital air fryers, it comes with a free recipe book. And it has a sleek brushed stainless steel design. It has 5-quart capacity and this makes it a 5-quart air fryer. This deep fryer has two simple control knobs that control time and temperature with cook times up to 30 minutes and temperature up to 400⁰F. It has a capacity of 4.5-quart. It has a manual adjustable temperature grid that lets you select cook times and temperatures for a more personalized cooking. The 1500-watt Express Heat System cooks food up to 30% faster than a regular oven, and the SensiTemp Heating ensures that proper temperature is maintained throughout the cooking process. This results in perfect results in less time. The RadiVection 360Â° fat-free technology allows you to roast, bake, broil, grill, and of course fry all of your favorite foods without oil, leaving a perfect crisp made with nonstick tray. The nonstick tray makes clean up very easy. As far as safety goes, the GAF375 is ETL-certified so you’re rest assured that you’re receiving a safe, efficient, high-quality appliance. The basket pan is rather small and can’t contain much. Why should you bother with an air fryer? Well, why shouldn’t you? 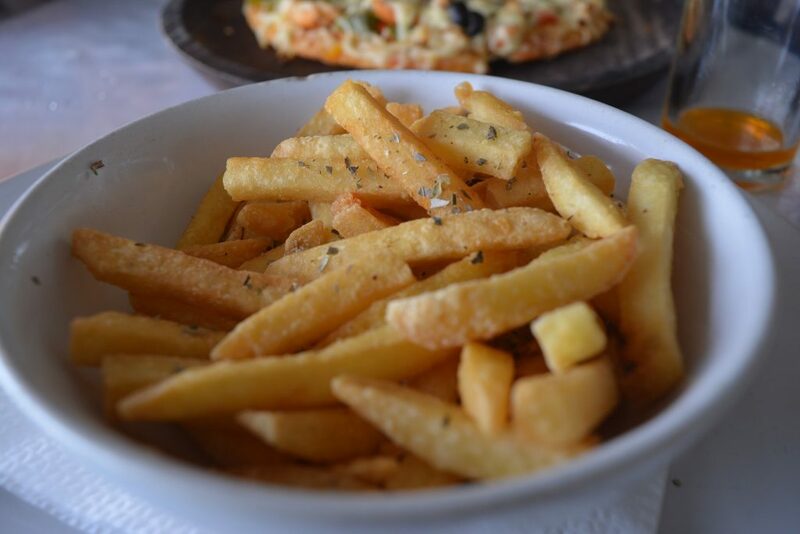 I know that the notion of crispy fries without the oil sounds too good to be true, so some people might be a bit skeptical. At this point I should point out that air fryers don’t actually ‘fry’ food. At least not in the conventional frying sense that we’re all used to. They work more like convection ovens – a fan circulates hot air to quickly cook the food in the basket from the outside in. Usually foods contain some measure of oil in them, or the oil is embedded in the spices used or the dressing but somehow, oil gets in there. And it is this oil that is stretched thin all around the food being ‘fried’ that creates the faux fried exterior. 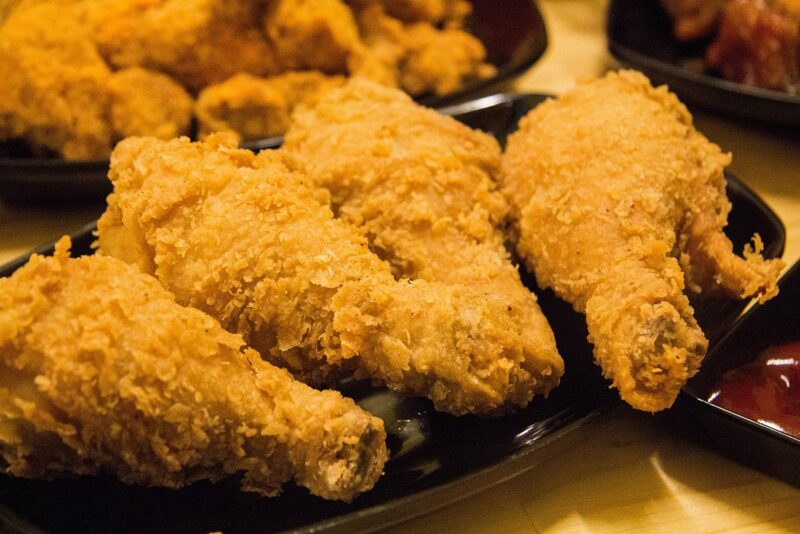 Some people argue that deep-fried food and air fried food ‘do not taste the same’. If it isn’t deep fried, it can never be like deep fried. Well, I think that is a matter of opinion. I think the taste is just as great and there are times it tastes even better. Don’t get me wrong, deep fried food does have its moments and that crunch with the soft inside is just to die for. But, people, it is not healthy! There’s no sugarcoating this, it is what it is. We are trying to eat healthier for ourselves and our health and anything that can help us should be welcome. No matter how low the oil absorption of a deep fryer is, there is still oil and there’s where the problem lies. Apart from that, air fryers do much more than just ‘fry’. I mentioned this earlier but I’ll stress on it a bit more here. With just a few tweaks on the control, you can completely change things up. The air fryer can grill, stir-fry, bake or roast amongst other features. What this means is that if you own an air fryer, you don’t necessarily need a grill or an oven except if you’re making large scale pastries or barbecue. But for a regular person with no major cooking needs, this is an all-in-one homerun. You can also reheat food and steam veggies in the air fryer. So with just an air fryer, you can cook yourself up an entire dinner! Since the air fryers are small, they cook foods fast. They come up to set temperature very quickly and can cook even the most frozen of foods in 15 minutes. They are also very easy to use, it’s not rocket science and clean up is breezy. If you’re a busy parent on a low income, you need this! The air fryers are energy efficient and they will not heat up your house either. It does not put much pressure on the electric bill and you can quickly whip up something for the kids in less than 15 minutes! Pizza delivery is not even as fast. College students as well can benefit. When you’re in school, you don’t have much time for proper meals. This can save you a lot. Midnight snack, anyone? And the group of people I think will benefit the most from the air fryer are those who hate cooking. Here is an appliance that allows you to cook, without feeling like you’re actually cooking! The major downside to the air fryer though is its size. They come in different sizes but the appliance generally borders on the small size. Especially the baskets. Cramming stuff in there can be a bit of a cinch but there are always ways around that. You could cut the food up into smaller bits and pieces for one. This same size is also very portable as it easily fits into a dorm room or even an office break room. Okay now that you know why you need an air fryer, let’s talk about the Gourmia. Gourmia air fryers come in two specifications – digital and analog. That was a really long one, huh. Now that I’ve done the review, let me share my thoughts. I absolutely love the fact that the Gourmia has many options to choose from with something for everybody under every situation. Some of the models might be a bit pricy so bear that in mind when you go shopping. Even if you’re opposed to air fryers, you can’t help but be impressed by the sleekness of the Gourmia brand and the fact that it uses no oil is just the best thing ever. It would help if the air fryers could come in bigger sizes though, especially the baskets. Getting foods, for example whole birds to fit in without calving them up would be the dream. The degrees are set to just Fahrenheit and some recipes I use call for Celsius, so conversion is always a bummer. I really like the fact all the digital air fryers have the basically the same feature but in varying sizes so I know that I’m not missing out on anything. The bulk of the Gourmia products are dishwasher safe air fryers, so that is good. I can’t get over the noisiness of the machine, though. When it’s on, I can barely hear myself think. All in all, this product gives a good substitute for frying, and is a must-have for a healthier lifestyle. If this sounds good and all, you should most definitely consider getting an air fryer. Some of the products seem to be better than others but on a general scale, they are not bad. Before you decide which product to buy, it’s important that you consider the size of your family, the use you expect to get out of the product and your budget. I hope you’ve learnt a thing or two from this Gourmia air fryer review that can help you make your decision. Whatever air fryer you eventually go for, just have fun making all your favorite fried food and trying out new recipes and share that special moment with friends and family. Enjoy!